Honda, a provider of current-spec Formula One power units so bad, that they made once-respectable McLaren a painful spectacle of technical woes, has now signed up to ruin Sauber in the same way starting in 2018, reports Racer. Run away while you still can, Sauber. It’s a trap! In case you’ve been ignoring the 2017 Formula One season, McLaren driver Fernando Alonso hasn’t finished a single race with Honda’s turd of a power unit in four races. Teammate Stoffel Vandoorne has only finished twice—in 13th and 14th place. The team as a whole is dead last in the constructors’ championship. McLaren used to be known for winning world championships, but their rekindled partnership with Honda reminds us all more of the sinking of the Titanic more than it does the halcyon years when Ayrton Senna was dominating in a McLaren-Honda. 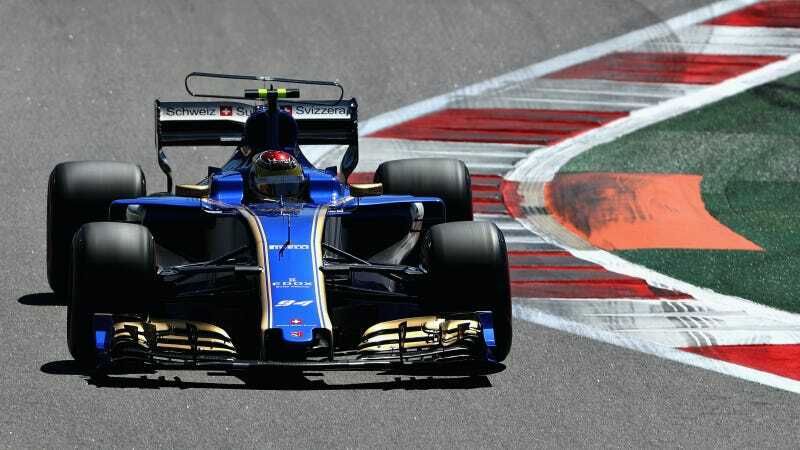 At least backmarker Sauber doesn’t have as far to fall, having been known more in recent years for signing up more drivers than they have seats than any actual race wins. They’re currently in ninth places in the F1 world constructors’ championship, beating only the ne’er-do-wells at McLaren. Honda also gains a second team to gather data from by providing power units to Sauber. Their hope is that two additional cars’ worth of data points will allow them to sort out problems faster, according to Racer. I mean, they can’t be any slower at it than they are now, so why not? I’m sorry, Sauber fans. I really am. Upside: maybe Pascal Wehrlein can take a week off to run Baja or something when it all hits the fan.